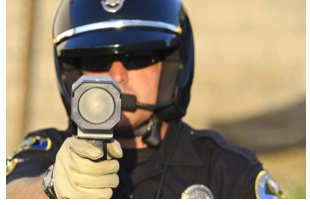 At Astarita & Associates our defense attorneys are particularly qualified to handle your Traffic Infractions. Through our vast experience litigating traffic tickets in the Suffolk County Traffic and Parking Violations Agency in Hauppauge and the local town and village justice courts throughout Long Island, we understand the prosecutorial process and are able to anticipate the prosecution's stratgies. We will aggressiviely protect your rights and work tirelessly to ensure the best possible result --- often resulting in no points on your license and no increases to your insurance. In most jurisdictions, we can represent our clients on a traffic matter without a court appearance by our client. We view every traffic case as unique and we pride ourselves on our personal attention to our client-attorney relationships. In that light, we meet with you to discuss the particular circumstances of your case. We will discuss your driving history, review the facts surrounding your current traffic summons, and then present a plan to achieve the best possible resolution of your traffic infraction. With the information you provide, we will completely explain how the traffic violation process works and we can determine a 'flat fee'" to resolve your traffic tickets. Contact us today to schedule your free consultation at (631) 283-4449.